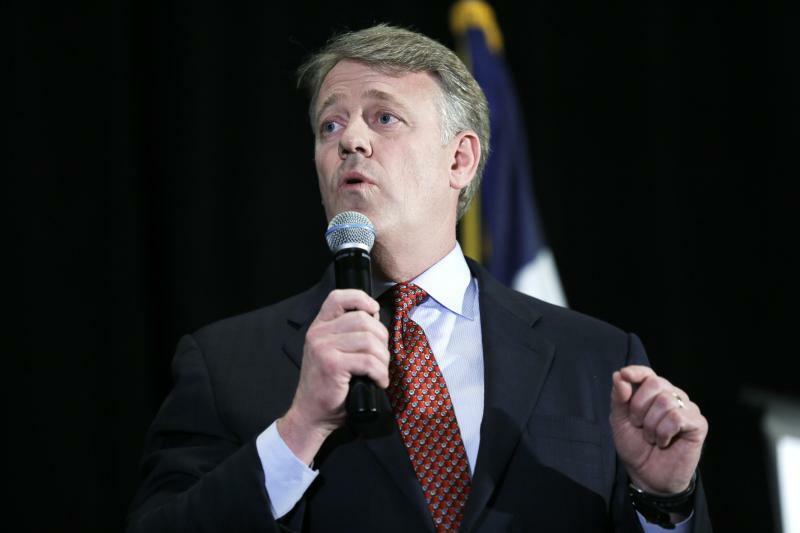 DES MOINES, Iowa (AP) — A catchy political ad and a gotcha video have raised Republican hopes of capturing a U.S. Senate seat in Iowa, enhancing the party's chances of regaining control of the chamber. Sen. Tom Harkin, a Democrat, is retiring after three decades, and Republicans are adding that seat to their list of winnable races in the November elections. One reason is a commercial by a GOP hopeful that drew attention on the Internet: "I grew up on an Iowa farm castrating hogs, so when I get to Washington, I'll know how to cut pork," says state Sen. Joni Ernst. She concludes, with a smile, "Let's make 'em squeal." Another reason is a gaffe, caught on video, by U.S. Rep. Bruce Braley, a Democrat who wants a promotion to the Senate and has no opponent in the June 3 primary. In the video, Braley tells an audience of Texas lawyers that attorneys like him are better suited for the Senate Judiciary Committee than "an Iowa farmer" like longtime Sen. Charles Grassley, R-Iowa. Braley apologized to Grassley after a conservative group released the video. Neither the ad nor Braley's blunder makes the seat a sure thing for Republicans. Iowa hasn't elected a new GOP face to be a senator or governor in more than 30 years, and a Democrat has won five of the past six presidential elections in Iowa. With the primary nearing, GOP voters are no closer to coalescing around a candidate to challenge Braley, a four-term congressman. If no GOP candidate gets more than 35 percent of the vote, the nominee will be selected at a potentially divisive state GOP convention. "There is a greater sense of optimism than there would have been two weeks ago," former state Republican Party Chairman Matt Strawn said. "The question that's yet to be resolved is whether Republicans can take advantage." Republicans need to gain six seats to win control of the Senate. They have been targeting seven seats now held by Democrats, in states where Republican Mitt Romney defeated President Barack Obama in 2012: Alaska, Arkansas, Louisiana, Montana, North Carolina, South Dakota and West Virginia. Republicans began to see Iowa as promising territory after the emergence of only about of a minute's worth of video. Late last month, the little-known Ernst, from rural southwest Iowa, released her first TV spot. It came with a minimal airtime purchase, but it went viral on the Internet, drawing attention from late-night TV hosts, and has been viewed a half-million times. Ernst, like her rivals, has been trying to break through in the crowded field of lesser-known hopefuls who stepped up when well-known politicians such as U.S. Rep. Tom Latham and Lt. Gov. Kim Reynolds took a pass. Two days after Ernst's ad appeared, a conservative political action committee released amateur video of Braley's comments in Texas that he would better represent lawyers than "a farmer from Iowa who never went to law school, never practiced law." He was referring to Grassley, the six-term senator who is in line to become Senate Judiciary Committee chairman if Republicans retake the Senate. State and national Republicans pounced on Braley's unguarded comment. He later apologized to Grassley, who has won more than 60 percent of the vote every time he's run for re-election. "The timing couldn't have been better for her," said Gov. Terry Branstad, a Republican who is publicly neutral but often compliments Ernst. "I think she's doing a lot of the right things." Besides Ernst, an Iraq war veteran, the GOP field includes former energy company CEO Mark Jacobs. He has run more than $350,000 in television advertising, vastly outpacing his opponents. One spot attacks Braley's comments about Grassley. Jacobs brags about turning around Reliant Energy in Texas, but he lived outside Iowa for 30 years and contributed money to some Democrats during that time. He says an open mind, not ideological rigidity, helped him return Reliant to solvency. "I learned how to bring people together to solve big problems like that," Jacobs told a dozen GOP activists over cookies and coffee in the Guthrie County courthouse last month. "And that's one of the things that's missing in Washington today." 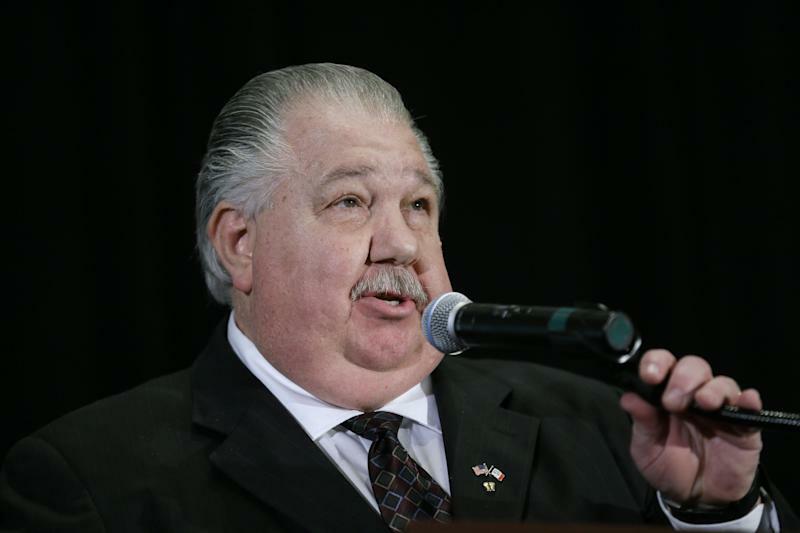 Other candidates are former U.S. Attorney Matt Whitaker, radio host and college professor Sam Clovis and Des Moines area businessman Scott Schaben. None of the GOP candidates has identified singularly with conservative evangelical Christians, a potent force in the Iowa GOP presidential caucuses, or with libertarian followers of former U.S. Rep. Ron Paul, R-Texas. Paul's supporters took over leadership of the state GOP party structure in 2008, but recently have left. Likewise, evangelical Christians have not had notched a major political victory since 2010, when they organized to defeat three state Supreme Court judges who voted for the unanimous decision allowing gay marriage in Iowa. The primary is tugging at both Ann Trimble Ray's ideology and pragmatism. 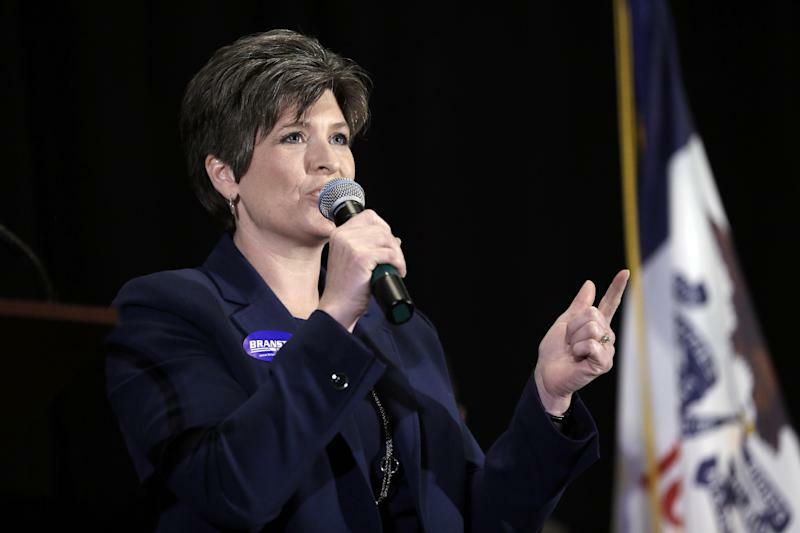 Though the social conservative from western Iowa likes Ernst, "I'm not there yet. A lot of weight goes into this decision." Braley announced his candidacy more than a year ago, shortly after Harkin's surprise declaration that he would not seek a sixth term. Braley has had the advantage of raising money without a Democratic opponent. He had $3.1 million in his campaign account at the end of March. Still, without Harkin running, the seat was considered more competitive, although Braley had been viewed as the favorite. Democrats remain optimistic. "We'll have to see how it affects Braley," Tad Devine, a Democratic strategist for presidential campaigns in 2000 and 2004, said of Braley's misstep. "People say things in campaigns and survive."